If you're a student like me, then this app is for you! With recent upgrades to the dictionaries and translate feature, Ascendo's language apps are the most useful linguistic tools available for your mobile device, and even without an internet connection! This app offers a large dictionary with example phrases/uses of words, conjugation tables for all verbs, a pronunciation feature for all entries, and a useful translate feature (requires an internet connection). 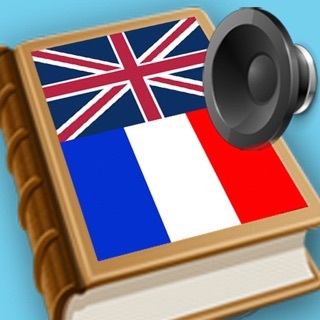 I have used this app for school and it is the most useful tool I've found to help in reading and writing French. Ascendo dictionaries also offer entries that other dictionaries don't: contemporary words like 'selfie' and slang, which are frequently used in conversation. Another feature which I love is that you can do an “online” lookup if the dictionary doesn’t have exactly what you’re looking for. It opens a tab interface with WordReference, Wiktionary, etc. so that you can additional translations and meanings if the app didn’t already have what you’re looking for. You need an internet connection to do the lookup, but it’s one of my favorite features! If you plan on studying abroad in a francophone country like I did, you will find this app endlessly useful. With phrasebooks, offline lookup, (online) translation and much more, Ascendo's language apps will be your go-to resource! Amazingly useful, meets all my wants and then some. You don’t need anything else if you have this one, either for studying or just reading for yourself. Started using it intuitively before reading the Help section and no frustration, but I still advise to peruse the Help part to discover more pleasant surprises. Many thanks to developers, I am going to get German and Spanish versions as well, because I cannot imagine any better reference when studying. I have decades of interest in other languages and numerous attempts to learn beyond a beginner level. With this in my pocket this seems much more manageable to integrate it as a daily activity. Will update after a couple months of daily usage. Currently, was addicted to it for several days. I’ve been using this app for a while and I find it more useful all the time. The translator has spot on translations but also detailed dictionary information if you just translate one word. You can hear translations pronounced in both language and star favorites. Each update has included a lot more dictionary words including slang. This update has voice search in both languages which is good for practicing pronunciation. You can find phrases easier too with the search bar. Also, the phrase icons look neater and there are more phrases to choose from. Other improvement is speed of audio which can be adjusted by tapping on speaker icon. Thanks for the update.